United Parcel Service (UPS) workers have given their union the go-ahead to call a strike in what would be their first walkout -- and one of America's most far-reaching picket lines -- in decades. The vote gives union negotiators more sway in contract talks with the shipping giant. The tally released by the International Brotherhood of Teamsters Tuesday night had 93 percent of UPS members endorsing the authorization and 91 percent of UPS freight employees backing the measure. A national pact with the union covers about 260,000 UPS workers, and the current contract expires July 31. The members' vote "gives the negotiating committees bargaining leverage this week and during subsequent negotiations for the national contract and the supplements," Denis Taylor, a Teamsters director and co-chairman of the bargaining committee said in a statement. "UPS is confident in our ability to reach an agreement," a company spokesperson responded in an email. "Strike authorization votes do not mean a strike is imminent. The reality is that UPS and the Teamsters have already reached tentative agreements, subject to ratification, on a wide variety of non-economic issues." 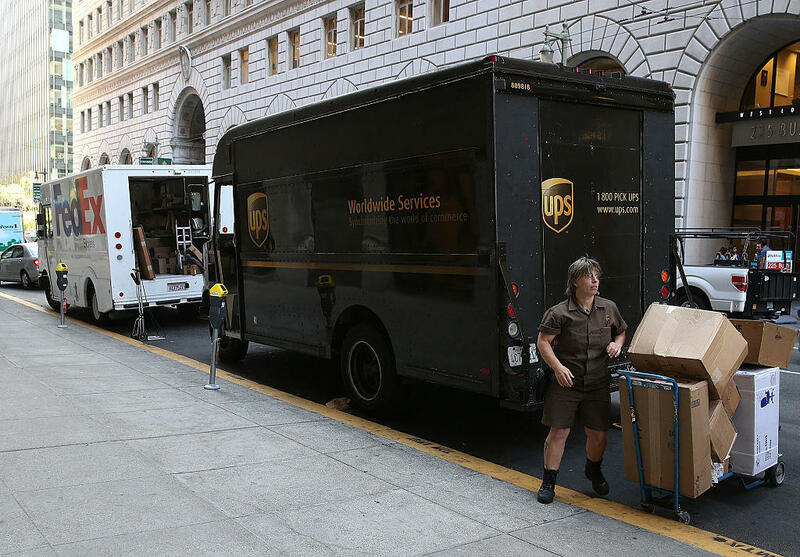 The last strike by UPS workers in 1997 lasted more than two weeks and disrupted package delivery service around the country. The current bargaining comes as the shipper looks to keep up with soaring demand for e-commerce deliveries by increasing warehouse automation. The bargaining issues involve pay and work schedules, including expanded service during weekends. UPS started making regular Saturday deliveries last year, and while it has not yet unveiled plans for Sunday deliveries, the union said the company has made proposals to expand weekend services. Part-time UPS drivers now making about $15 an hour. Full-time drivers currently earn about $36 an hour, or about $75,000 a year. UPS shares and those of competitor FedEx edged lower in Wednesday trading.